I had written this article some time ago and somehow came across it again recently, I don’t normally read my own writings after I have written and posted them. But this time I read the article and was rather surprised convinced its relevance is more appropriate now than ever before. So forgive me if this seems like a rehash but that is not my motive. My intention is not to short change anyone by being lazy and just reprint already published material. But as I was going through my archives with the intention of erasing some of the old information when I read this particular one, I felt differently, I felt the Lord would have me reprint or publish it again because of what I have just referred to above. As we approach the moment in history that aligns with the prophetic biblical signs of scripture spoken by the ancient prophets, we can safely assume that the final closure of mans time upon earth has arrived. Therefore the absolute least we can do or more correctly must do, is firstly pay heed to them and secondly make the necessary preparations to be ready for his coming. Jesus spoke these words concerning a time of sorrows, when He was making reference to the era relating to his second coming, he made use of several terms likewise such as, birth pangs and time of great trials, travail as a woman in childbirth etc. He spoke of a very troubled and traumatic time of history, through which mankind must travel. He described an age much more future than the one in which he lived on earth and he characterised it as an age of incredible violence and lawlessness. Jesus also stated that of the ones that will endure this time of great tribulation, only those who endure till the end of it will be saved. He also predicted, in that future time, many would become offended, resulting in absolute betrayal of one another. All of this, because he said, their love of God would become luke warm as a result of what they deem to be injustice and God being oblivious to it. Jesus called it, a time of such great tribulation which could find no comparison in previous history nor any other relative time of human duration. No violent upheaval throughout mans time on earth past or future, no matter how bad or traumatic, will be comparable to this future coming desolation. I know that what I say here will be considered by most to be very controversial and to some even heretical,because it has been considered a pet doctrine of the church in the last couple of centuries, that we as Christians will not have to suffer any persecution or hardship. In the western church many eschatological teachers believe and espouse the truth of a pretribulation rapture and as such teach that the believers will be snatched out before this time of the coming trouble. It amazes me that only those who spend their time in the western church largely endorse and believe this and the question has to be asked WHY? Firstly before we look at the facts of this theory of pretribulation rapture and whether you accept it or not, realise it is still only a theory, because as many as teach a pretribulationl rapture and are challenged by it, an equal number oppose it. 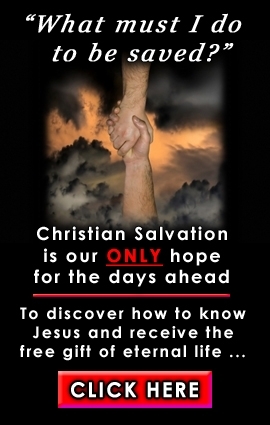 In fact there are a far greater number of Christians worldwide, who do not espouse a pretribulation rapture. Once again I want to challenge your thinking and ideas of biblical exegesis and my whole hearted desire is to simply define and establish the truth. I some years back personally espoused the rapture theory as it was taught to me, but as I began to research truth for myself, a great deal of scripture seemed to contradict this theory. So much so, that I began to read and research everything I could find on the subject to formulate not what I simply wanted to believe and thought convenient or comfortable but what the Word of God was conveying to me as truth, be it palatable or not. What I found totally changed my thinking and my understanding of these end time truths, this requires an interjection here on my part, so let me here add; I do not pretend, nor want to be seen as bigoted and thus convey the impression I know everything and possess all truth. My heart is to pursue and find truth, When you take time out to travel through the persecuted church, unlike the protected insular western church and meet the saints in their own poor and down trodden environment, you find some major conflicts. Firstly you meet saints that are under great duress and yet they fearlessly are preaching the gospel in spite of their difficult existence. Upon returning to the same people, a year later you find some of them are no longer alive or alternatively unable to be located. The reason for this is because they have been incarcerated or martyred for their faith. To these courageous saints whose righteousness, perseverance and convictions exceed many times the degree of our own, the thought of escaping trial and testing for them does not even warrant a consideration. Yet in contrast looking at the western church, I find their only defence in justifying a pretribulation rapture is the claim that God would never let the saints suffer. It does not seem to enter the western Christian mindset that these persecuted saints are yielding up their lives every day for the faith. Their wholehearted commitment to Christ and the great commission draws an automatic response which portrays an absolute unreserved devotion and dedication of spirit that reveals their willingness to lay down their lives totally for the cause of Christ. Their dedication highlights the contrast between western and third world Christian commitment and subsequently exposes the lack of sincerity and sacrifice we as civilised and affluent free nations exhibit. It shows very clearly our western culture of comfort and resistance to pain and hardship of any sort. It also discloses our soft gutless evasion of any degree of suffering. We in the west, have absolutely no appreciation of what is taking place in the persecuted church only that they lack the affluence, the conceit, the comforts, and the self centeredness that characterises our western church. We have no idea how the other half or more accurately nine tenths of the Christian church workout their salvation in fear and trembling under dictatorships and regimental totalitarian juntas. The last count I was given several years ago was the fact that at least one hundred and eighty thousand individual Christians worldwide were being martyred for their faith annually in other world nations and regimes. This figure by the way is confirmed by the website and statistics of Amnesty International. Do you understand the sum of that figure at least fifteen thousand a month or roughly three and a half thousand a week. That is simply staggering and what do these saints think of a pretribulation pain free escape doctrine called the rapture. They wonder why it is, that they are dying and suffering and we in the west convince ourselves that we will escape this experience. I have had to counsel many believers who are in these very scenarios and they want to know what it is that they have done wrong for God to direct his anger at them to punish them, yet not direct it at the western church. To add to this insulting theory, I have heard many western preachers suggest that Gods judgement is on these nations because these persecuted saints will not rise up and believe the truth. I remember hearing a tape of Kenneth Copeland lambasting these persecuted saints who were suffering poverty and persecution, his false supposition of them concluded that they were living in unbelief under a negative report and needed to shake off their poverty mentality. What absolute rubbish. Corrie Ten Boom, the Jewess who suffered under Hitler in Nazi German concentration torture, once made a statement before a large audience when confronting a question asked of her about persecution and Christian suffering. The question directed at her was how could a God of love allow Christians to suffer through a tribulation period without a rapture. He would not allow them to suffer as she did . Her response was not only very revealing but also very convicting, she said ONLY AN AMERICAN AND WESTERNER WOULD ASK SUCH A QUESTION. It is an extremely complex and lengthy discussion, when debating the issue of a pretribulation rapture. J.N. Darby, Clarence Larkin and C. I. Schofield were its main originators and propagators. As such, time nor space here would allow me the opportunity to challenge this doctrine which only became a consideration to the church within the last one hundred and fifty years. But there are some simple and yet profound facts concerning this debate which if people would research, their conclusions may be different. The liberty to depart from biased indoctrination and the flexibility to disseminate dogmatic preconceptions, would very clearly expose some of the anomalies of this pretrib rapture doctrine. It scares me somewhat that most Christians and scholars are not even prepared to look at another version of truth, no matter how much scriptural reference and research may have been done regarding it. It was only when I began to look outside the conventionally accepted box that I at least became open enough to look, let alone question it, incredible. Let me take a little liberty here and present here some glaring anomalies in relation to this subject,please give me a little freedom to challenge your thinking. I will not cover them all and I will not get into an argument that becomes irrational as some do, but let me just mention and allude to a few of these contradictions. My contention is this, if ones would seek the truth, not just defend a preconditioned idea, it may lead them to the same conclusions as myself in my search for truth. However most will not even consider this option, but right it off as heresy, refusing to consider, there may be an alternative doctrinal position that does have validity and to my way of thinking presents a stronger case. A very close and honoured friend to whom I would defer as having much greater biblical interpretive skill than I, holds this very position that I present to you and His knowledge is much greater than mine. I consider him to be one of the greatest teachers alive on the earth at this moment and he has written many books and articles on this as well as other eschatological subjects, his name is Dr Kevin Conner. He has given me permission to quote and include any of his writings and research in this and any other article that I may write or submit. I say this not to name drop or gain leverage for my own credibility but to show that I am not alone, as to what I write and submit here in this particular article. Dr Conner has published a very in depth book on this very subject of the tribulation and the rapture of the church, and I will reprint with his permission some of his very heart searching material in the coming months. Material, that can only bring you deeper revelation and appreciation for the Word of God the Bible if you should take the time to peruse his valuable work. Thank you Brian , this subject has been burning in me as well, once again to warn people .